The Wisconsin Department of Corrections is dragging its feet on releasing emails related to the hit series “Making a Murderer,” according to USA Today. It’s been eight weeks since USA Today requested the emails and four weeks since the paper agreed to pay $220.60 for PDF copies of the communications sent or received by prison officials regarding the Netflix docu-series. Those records have yet to be released, and no date has been provided. The request included emails associated with more than a dozen email accounts including the key phrases “Netflix,” “Making a Murderer,” “Avery” or “Dassey,” which the Department of Corrections estimated would total upwards of 4,000 pages. Netflix is the streaming service that produced the hit series, which explores the conviction of Steven Avery and Brendan Dassey for the October 2005 murder of photographer Teresa Halbach. In response to the delay, the paper agreed to narrow its search, which would save time by requiring prison officials to examine and redact sensitive information on fewer documents. "Blackfish" -- The 2013 documentary "Blackfish," which blamed the death of a SeaWorld trainer on the increased hostility of killer whales held in captivity, proved to be extremely damaging to the park. Negative press and decreased attendance eventually led the park to bring an end to its orca breeding program. "Super Size Me" -- McDonald's claims that the end of the "super size" meals was unrelated to Morgan Spurlock's Oscar-nominated 2004 documentary, but the decision came from the fast food chain less than two months after the movie's release. "The Thin Blue Line" -- Errol Morris' documentary "The Thin Blue Line" depicted Randall Dale Adams, a man serving life in prison for a murder he did not commit. Adams was exonerated and released from prison a year after the movie's release. "Rosetta" -- After winning the coveted Palme d'Or at the Cannes Film Festival in 1999 Luc and Jean-Pierre Dardenne's "Rosetta" went on to inspire Belgian lawmakers to pass "Rosetta's Law," which protects the rights of teenage workers. "Triumph of the Will" -- Leni Riefenstahl's "Triumph of the Will" cut together footage of Nazi leader Adolf Hitler at the 1934 Nuremberg Rally and is to this day regarded as one of the most successful propaganda films of all time, helping to increase the size and power of the Nazi Party. "JFK" -- Oliver Stone's conspiracy movie "JFK" theorized that the government may have been involved in the 1963 assassination of President John F. Kennedy. The buzz surrounding the film inspired the President John F. Kennedy Assassination Records Collection Act of 1992, which made public previously classified documents relating to the event. "Trevor" -- In 1995, "Trevor," a short film about a gay 13-year-old who attempts suicide, won an Oscar for Best Live Action Short Film. After the film's release, director Peggy Rajski teamed up with writer James Lecesne to found The Trevor Project, an organization providing crisis intervention and suicide prevention services to LGBTQ teens and young adults. "The Birth of a Nation" -- D.W. Griffith's "The Birth of a Nation" was a commercial success in 1915, but is widely criticized for its portrayal of African-Americans and for hailing the Ku Klux Klan as heroes. The film was allegedly used as a recruiting tool for the white supremacist organization and helped to increase its membership. 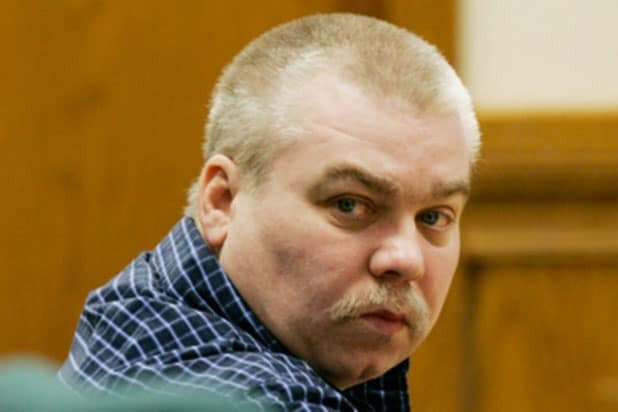 "Making a Murderer" -- Netflix's "Making a Murderer" became a sensation shortly after its December 2015 release, with viewers outraged at what the docu-series alleged was the railroading of Steven Avery by the Manitowoc County Sheriff's Department for the murder to Teresa Halbach. The buzz surrounding the series grew loud enough that Avery secured himself a new lawyer and appeal earlier this year. ‘Making a Murderer': What’s Happened to Steven Avery and Brendan Dassey Since the Series Premiered?